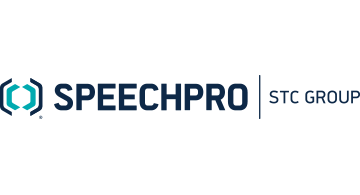 Speechpro is a US-based subsidiary of STC Group – the leading developer of voice and multimodal biometric systems, as well as solutions for audio and video recording, processing and analysis. With one of the largest R&D teams in the industry and more than 25 years of experience, STC Group is well-known for solutions implemented by some of the largest international companies in banking, security, telecom and public sectors. VoiceKey – a biometric authentication platform that offers voice identification and verification via landline phones, computers, mobile and web-based services. Solutions based on the platform are actively utilized by contact centers, banks, telecom and other companies with remote customer services. OnePass – a cloud-based biometric authentication solution that can be easily integrated into any app, web service or corporate security infrastructure. Unique level of security is provided by combination of bimodal face+voice verification and liveness detection – a technology that allows determining if the person in front of the camera is live, not photographed or recorded. No need to remember passwords or store tokens, all you need is your face and voice. We challenge the status quo by replacing spoof prone and frustrating password-based identification with a quick and secure biometric login. Speechpro | STC Group at Kiosk 2042 and Kiosk 2062 on the Exhibit floor. Contact sales@speechpro-usa.com to schedule a meeting at Money 20/20. Get to know us at Facebook and LinkedIn.